In my latest Matrix Chess game against the computer I failed in an interesting way that actually involved winning the game. See what you think. Position after 15. Nb5. Black to move. I’m playing Black in this game, and I set Shredder’s strength to 2114 (somewhat lower than I usually do) because I was pissed off after three straight bad losses and wanted to win a game. One side effect of setting its strength lower is that it plays more goofy openings. 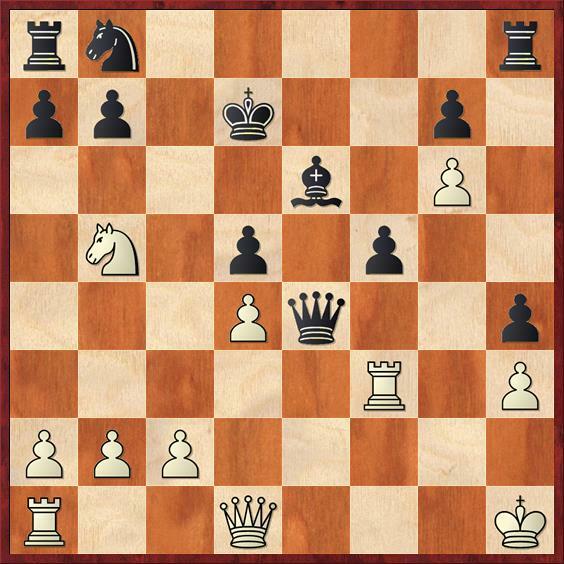 This was a Grob Attack (1. g4), an opening I’ve never played against in a tournament, although I faced it many times in chess club against Steve Sullivan. Shredder has just played 15. Nb5, putting the question to my bishop. My immediate inclination was to play 15. 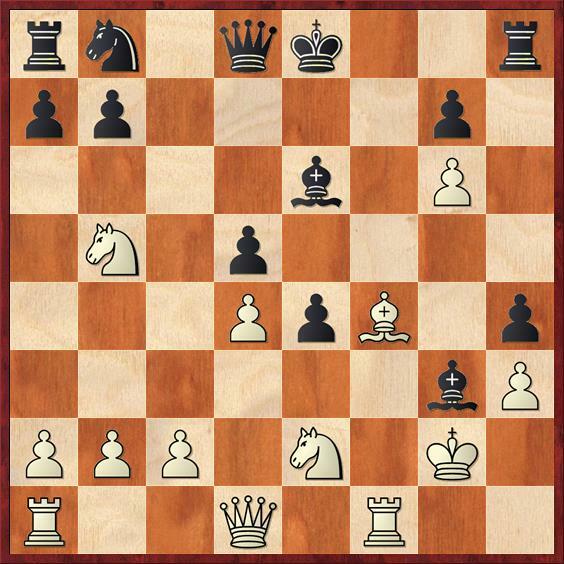 … Bg3, offering a pawn sacrifice, but I could see that there were tons of tactics associated with that move and I decided that this would be a good time to take my time-out. So my candidate move list consisted of three moves initially: 15. … Bg3, 15. … Nc6, 15. … Be7. What’s interesting about this position is that the candidate moves differ so drastically. The first one requires detailed calculation; the others require almost no calculation, only strategic evaluation. In other words, the strategic player would reject 15. … Bg3 as not even worthy of analysis. It can’t possibly work out well for Black. On the other hand, I started my analysis with 15. … Bg3?, which was Failure Mode 1: playing a risky, tactical variation before your pieces are developed. It also turns out to have a huge tactical hole in it, but one that is very hard to find. If you want a really challenging exercise, see if you can find the refutation. 16. ef followed by Bf4. Two exclaims because at first this move looks like a blunder. Of all five candidate moves for White, it was the one I was least worried about. But there’s a trick at the end. Naturally I would have played 16. … Bxf4 17. Nxf4 Qg5+, which apparently wins a piece. White has to play 18. Kh1! Qxf4 19. fe Qxe4+, and my analysis stopped here. Because Black takes with check, I assumed that I would be able to defend the knight checks on d6/c7 with my next move, and I would simply be a piece up. For example, 20. Rf3! Kd7 (see diagram) and Black wins, right? Position after 20. … Kd7 (analysis). White to move. Alas, I missed 21. Nc3! and White wins! Why did I miss this? Well, there were a number of failure modes operating. Failure Mode 2. Stopping your analysis before the position has settled down tactically. Failure Mode 3. Faulty assumptions. Queens can never get trapped in the center of the board, right? Failure Mode 4: Failure to realize that forced moves can also be good moves. This is something that Mike Splane has talked about before, and this is a great example. The moves 18. Kh1! and 20. Rf3! look as if they are forced just for White to survive. So there’s a tendency to not look at any threats they might make, so I completely missed the fact that they were weaving a mating net for Black’s queen. So, thanks to my faulty analysis, I thought that Black was fine in this variation. I also thought he was fine in the first (red) variation. The second and fourth also looked okay but not great for Black. The variation I was most concerned about was the fifth, where White plays first 16. fe fe and then 17. Bf4. Position after 17. Bf4 (analysis). Black to move. Compared to the positions where White plays 16. Bf4 immediately, the pawn trade on e4 has changed the position in two substantive ways. First, White is now adequately defending f4, so he doesn’t lose a piece. (But as the line above shows, that doesn’t matter!) Second, White has opened a diagonal for Black’s bishop, so there is a new defensive possibility: 17. … Bxh3+! 18. Kxh3 Qd7+ 19. Kg2 Qxb5. I was still not happy with this position, because the queen is rather out of play on b5 and Black still hasn’t finished developing the queenside pieces. But I thought I could survive. The last step was comparing this line to the more strategic lines 15. … Nc6 and 15. … Be7. For a long time I was convinced that I should go with 15. … Nc6, but finally I changed my mind. After 15. … Nc6 16. Nxd6 Qxd6 I thought that giving up the dark-squared bishop was too huge a concession. White can now plant a knight on f4 and Black will never, ever be able to dislodge it. The knight puts pressure on d5 and dominates Black’s bad bishop on e6. I also thought that 15. … Be7 16. Bf4 Na6 was too big a concession. 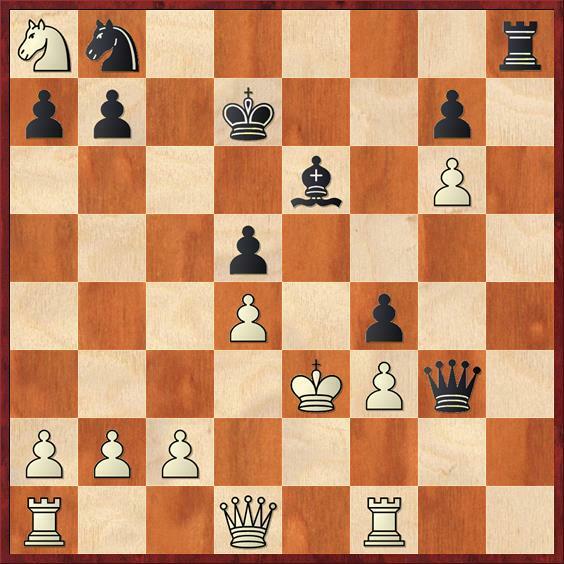 Now White’s knight can never be driven away from b5, and Black isn’t going to be comfortable castling either direction. So, with misgivings, I played 15. … Bg3? And guess what? Shredder immediately went wrong with 16. Nxg3? Absolutely a terrible move, whose refutation I had worked out in the first thirty seconds of analysis. 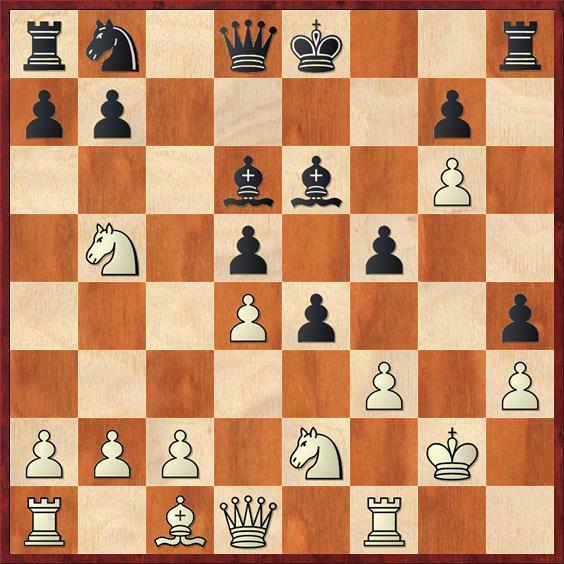 It’s tactically and strategically wrong — opening the h-file for Black, and giving away one of White’s best attacking pieces, which should be going to f4. Failure Mode 5: Letting the possibility for material gain blind you to everything else that’s happening on the board. Yes, White wins the rook on a8, but in the process he gets his king chased out into no-man’s land. The game continued 16. … hg 17. Bf4 Qh4 18. Nc7+ Kd7 19. Bxg3 Qxh3+ 20. Kf2 e3+ 21. Kxe3 Qxg3 22. Nxa8 f4+ (diagram) and Black is completely winning. I won’t bore you with the rest. Position after 22. … f4+. Because I won the game, it’s tempting to say I did the right thing on move 15 after all. That’s why it’s important to go over all your games, wins and losses, with a critical eye. Against full-strength Shredder or Rybka, I definitely would have lost. Against a human, well, who knows?